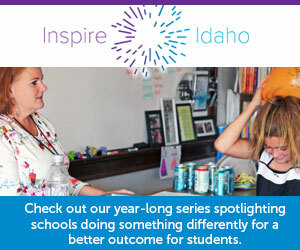 How is Idaho charter school performance like a Clint Eastwood movie? The Center for Research on Education Outcomes, or CREDO, just released its study of public charter school performance in Idaho. The report analyzes Idaho charter students’ performance using three years of data, beginning with 2014-15 school year and ending with 2016-17 school year. As CREDO reports, the “Good” is that performance of the average Idaho charter school student is higher than students in traditional district schools. On average, Idaho’s charter school students experience annual growth in reading that is equivalent to the students receiving 24 additional days of school year in a 180 day school year. In math, the educational gains of charter students experience are on par with their traditional public school peers. Perhaps the greatest benefit is for students in rural charters. Those students outperform their traditional public school peers by 30 days of learning in reading and 59 days in math. Now for the Bad. Charter schools in Idaho do little to close achievement gaps among various student subgroups. It is important to note that charters also do not increase these achievement gaps. This is true for Hispanic students, who fall behind their white peers by equal measures in both traditional district schools and public charters. The Bad is that charter students in poverty have a 30-day deficit in reading and 47-day deficit in math, while their district peers have a deficit of 47 days in both reading and math. These same trends hold for English language learners and students in special education. Also Bad is that 17 percent of charter schools have results that are significantly worse than district peers in reading and 20 percent are underperforming in math. The Ugly CREDO reveals is that online charter school students in Idaho on average gain less over a year than do students who attend brick-and-mortar charter schools. Online charter students are behind their brick-and-mortar peers by 47 days of learning in reading and 77 days of learning in math. Uglier still, the performance of online charter schools is so negative that it wipes out the positive growth of brick and mortar charter students in math and lessens the overall positive charter impact on reading progress. In other words, if you took out the online charter results, brick-and-mortar Idaho charter schools would look truly stellar. In practice, this means that in five years’ time we expect to see positive performance impacts among charters for some of our most disadvantaged students. This is baked into the design of the grant. Additionally, we are committed to expanding Idaho’s “quality (charter school) authorizing efforts,” while disseminating and supporting best practices for schools. Authorizers are the lead quality-control agent for Idaho’s public charter schools. While the CREDO results show overall positive student results in our charter schools, more needs to be done to address the Bad and the Ugly. Some of these charter schools may be primed to improve, and with the right supports and assistance can get there. Others — and this is part of what distinguishes charters from traditional public schools — may be unable to improve and should either close or be nonrenewed by their authorizers. Idaho has a strong charter school sector. There is much Good to note and build on, but there is also a need to redouble efforts to work at improving the Bad and the Ugly. Written by Terry Ryan, the executive director of Bluum. Disclosure: Idaho Education News and Bluum are both funded by grants from the J.A. and Kathryn Albertson Family Foundation.